West Palm Beach, FL – The South Florida Water Management District (SFWMD) Governing Board today approved the purchase of 2,510 acres in Glades County that will expand the ongoing Lake Hicpochee Shallow Hydrologic Enhancement Project. This project will benefit the Caloosahatchee River and Estuary and watershed by adding opportunities for water storage. "It's simple math really. More completed projects mean more water storage opportunities," said SFWMD Governing Board Member Jaime Weisinger. "Some might glance over this as just another approval to purchase land, but in fact this action ushers in an important restoration project to benefit the Caloosahatchee River." SFWMD began construction of the first 670 acres in April 2017. This $18.4 million project adds approximately 1,500 acre-feet of shallow water storage while improving the area's ecology. The first phase is expected to be completed in October of this year. 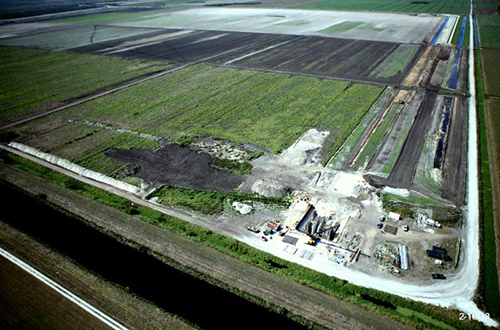 The 2,510-acre purchase from A. Duda and Sons Inc. uses funds specifically appropriated by the Florida Legislature in 2016. This acreage could provide another estimated 9,000 acre-feet of shallow storage for local stormwater and Lake Okeechobee regulatory releases that would otherwise go into the Caloosahatchee Estuary.